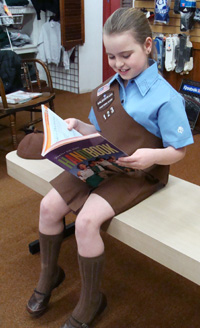 John's Sport Shop, in Gardner, is the official retailer of Boy and Girl Scout uniforms, badges, manuals, and accessories for Central Massachusetts scouts. 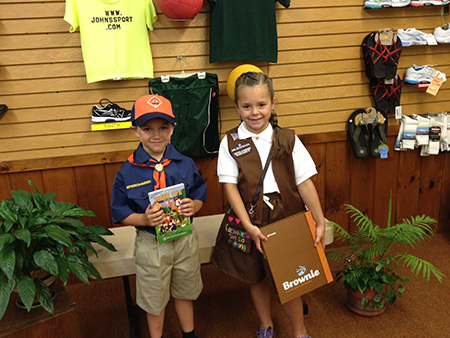 John's Sport Shop is Greater Gardner’s official, licensed vendor for Boy Scouts of America, Inc. merchandise. 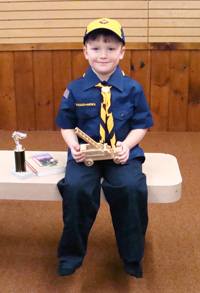 We carry a full line of clothing and accessories for every level from Cub Scout to Leaders. Please come by the store or call 978-632-0620 for more information. John's Sport Shop is proud to be an official, licensed vendor for Girl Scouts of the U.S.A.
We carry a full line of clothing, badges, handbooks, and accessories for Girl Scouts of all ages - from Daisy to Leader. Come into the store or call 978-632-0620 for more information. 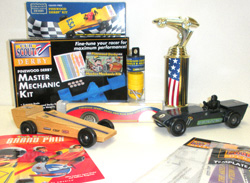 Be sure to check out our extensive selection of Pinewood Derby supplies and tools. We're always adding new items. Visit our store to see what's new!